Every state is accounted for except for Louisiana at this point. Roy Troutman was able to confirm the appearance of Magicicadas in Indiana, and a pocket of Magicicadas were discovered in Maryland. See Team Cicada’s Facebook Page for more information. There have been a number of reports from Kansas, but that might be Brood IV (a 17 year variety) stragglers emerging 4 years early, or perhaps Brood IV(4) is accelerating to join Brood XIX. Here’s a rundown of some of the best Brood XIX cicada news and multimedia from the week. It appears that Brood XIX’s emergence is now underway in every state they were supposed to emerge in, with the exception of Louisiana, but that could be that no one has reported in from Louisiana yet. You can see the progress of the emergence on Magicicada.org’s 2011 Brood XIX Map. I’m starting to hear that the emergence is winding down in Georgia, while it’s just getting started in Illinois. Brood XIX is truly the first periodical cicada emergence where social media (Facebook, Twitter, Flickr, YouTube, Vimeo) became the primary method that people used to share and learn about cicada news and media. The Cicada Mania Facebook Page has been very active all throughout the emergence with many people sharing excellent photos and videos. 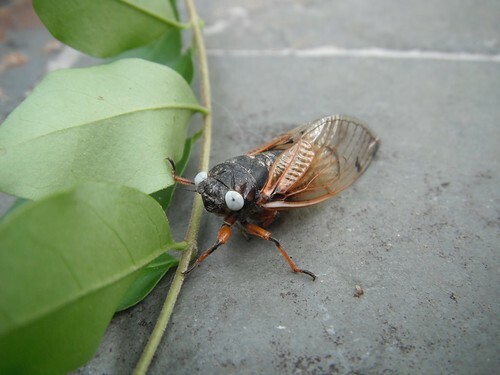 I’ve been sharing the latest cicada news stories on the CicadaMania Twitter feed. 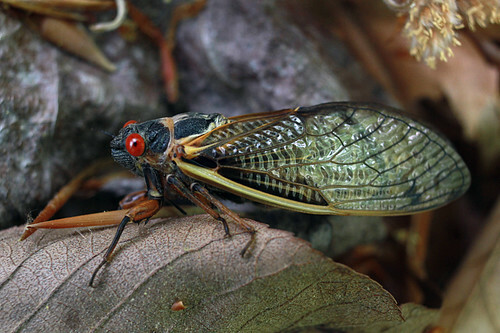 If you want to keep up with the latest cicada news stories, Twitter is a great place to start. Here is the first image of a white-eyed Brood XIX cicada that I’ve seen. The credit goes to biologizer on Flickr. If you’re on Flickr, you can add your photos to the Cicada Photos group, or if you simply want to see all the cicada photos showing up daily, search for cicadas. Thanks to David Green of North Eastern Arkansas for these photos of a Magicicada tredecassini.